Wow. I have internet at this cafe. So meet my new friend Sequincio. He likes to draw. 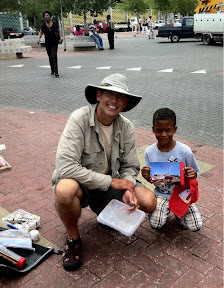 He is seven years old and lives here on Curacao. We met on the street while I was painting the floating market. I hope my little friend keeps drawing. he could be good.